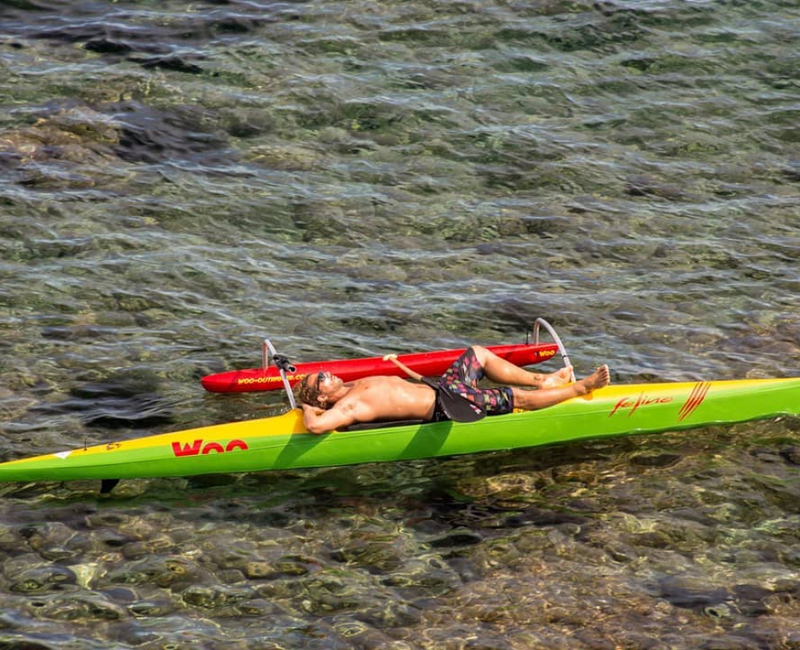 The Feline is the world’s smallest outrigger canoe. Its smaller dimensions (5.12m long and 40cm wide) mean that the it is not only easy to store, but also a model that demonstrates formidable efficiency in downwind conditions. It never crashes head first into waves and handles incredibly well. 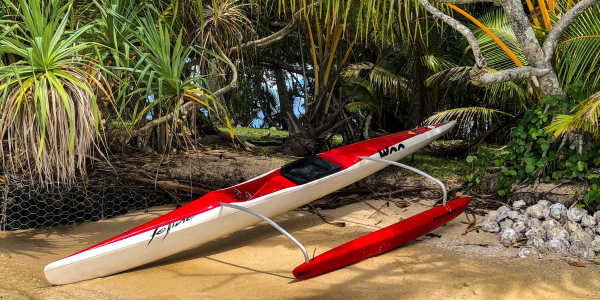 Beginners will be particularly fond of its ease of use when taking off initially, while experienced rowers will be amazed by the amount of time it can surf along waves, as well as its ease in moving from one to the next. The Feline is also extremely capable in upwind conditions, where its small dimensions come into their own. Its spaciousness (319 litres) makes it accessible to those of a larger build. The Feline is truly the product of all of our experience to date. * Price depend of the composition and be defined as the price Ex works.